Despite investing a lot of money ($1.2 billion) according to the company, Econet says they continue to operate in an ecosystem where they face needless challenges from competition, lacking supporting infrastructure and legislation. The company has always kind complained about these ecosystem issues, but yesterday they got a chance to pour their heart out at a parliamentary committee. The specific issue Econet complained about is something we wrote about a week ago – that ZESA won’t let them sell prepaid electricity tokens via the EcoCash mobile money platform. This actually really doesn’t makes sense as, even though there’s some good money Econet is after with those power transactions, ZESA and the government are really the ultimate losers. ZESA should be making sure more people are able to buy electricity more conveniently, not playing these old market access games. It reminds us of Econet’s own self-serving game blocking the banks from neutral access to their USSD platform. Late last year, after realising a lot of transactions were flowing through mobile money platforms – partly thanks to Econet’s own EcoCash numbers PR blitz – the government realised this thing was moving fast enough and needed to make them money too. The result, in Econet’s own words is that now “Econet pays VAT on transaction fees over and above corporate tax and recent Intermediate Money Transfer Tax”. We’re not sure Econet realises how unlikely they are going to be taxed any less in the short term here. Their services are one of the few things moving right now. It’s been clear for a while now that Econet won’t let the other players benefit from the mobile money infrastructure they laboured for on the cheap. If they can help it, and so far they can, they’ll block all parasites looking to be eased into the market with competition help. Telecel have realized this, and before them, the banks and their switch. There’s just not enough infrastructure to let the roll-out and operation of a telecoms network be inexpensive. Econet and other mobile operators (the parasites) have pay for generator fuel, have to regularly replace units that the erratic & fluctuating power is frying, have to build new roads just to install base stations. It’s so bad apparently they have to use donkey transport to access some areas. The Econet CEO yesterday suggested that government provide incentives to telecoms operators that are building non-core infrastructure like roads and power lines. Apparently so common locally it’s been shortened to just PhD, Econet says the “Pull him Down syndrome” is affecting the seriously. The Econet CEO said yesterday that the amount of effort spent by actors in the ecosystem trying to pull the company down is surprising considering Econet’s positive contributions to the country and economy. ngatitaure chokwadi econet is anti competitive and should be lucky its not being litigated against remember taking everyones airtime and giving nothing back etc. the tide against econet right now is more in line with its bullying tactics not anything else. cz they seem to be saying hey let do what i want. i beg to differ. You do not create a business so that you can have competitors. especially if the competitors resent you and need your help. competitors should be organized. their company heads should have their own visions and follow them. every company needs to reinvent themselves and have a grip on their goals. if Telecel’s dream is to beat econet then i m afraid that can only lead them to doing drastic thing in order to lower econet so that they can beat them. i think all competitors should ride their own horse. and focus on only their goals. customers keep getting shady service and poor products because someone is forcing things. Zimbabweans are late bloomers. the world is not about degrees and phds..it about what you have to offer, how talented are you? your degrees say that u passed an exam..talent says u can deliver. competitors should be creative. that is healthy competition. the government should enable those who want to fly. not be there to only clip their wings. there is a world outside Zimbabwe..ripe for the picking. Econet should realise that when they are operating in Zimbabwe they have to abide to the laws of Zimbabwe. Similarly in the other countries they (Econet) have been operating in they have to comply with the laws of those countries. Its either they ship in or ship out. This cry baby mentality should stop and they should grow up. If they do not see any sense in doing business in Zimbabwe surely they should move out and leave other players or new players come in. Sell their business to those who want to buy it. We appreciate and applaud the massive investment they have put in the country but should we then suffer because they have done that. If the country’s regulations say that infrastructure should be shared then it should be shared period. You cannot expect everyone to build a road and a bridge leading to their house. My two cents advise to Mr Mboweni is, when you plan your infrastructure development projects you should do your stakeholder analysis properly and engage every stakeholder to avoid this chaos you are in. Stakeholder involve Govt, Potraz,other players and consumers as well. Govt please lets put a stop to these monopolistic tendencies and lets promote sound development in Zimbabwe. Which is precisely what Econet is doing. Read more. 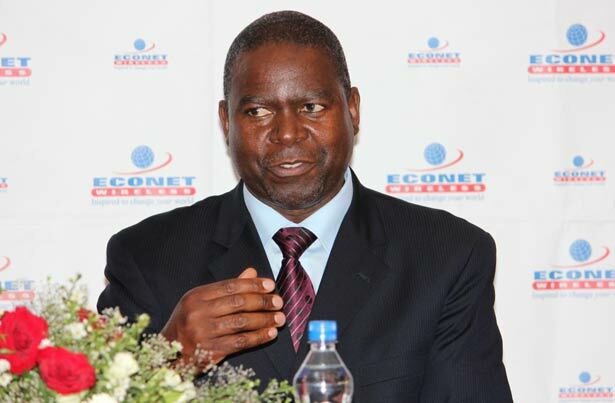 Econet shares over 300 sites, a higher percentage of its sites than any other operator. They also share with the likes of NRZ, Transmedia and so forth. The point is: I build here, you build there, and we share both sides. Not to say, ‘you build, and let me use your sites’. What’s the point of investing if your competitors are going to ride on your back without bringing anything to the table? We should not all forget that in 2009 Econet are the same guys who sold us consumers, sim cards for over US$100 when in actual fact they only cost US$0.17 (17 cents). They ripped off the Zimbabwean consumers and made massive profits out of that. The profits they made is what they have used to put up the infrastructure and it should rightfully be shared by all. The govt is right to force them to share the infrastructure and or platform with the banks, Telecel, NetOne, and other mobile application developers et al. Mboweni as a CEO i think you stooped so low and for being a crybaby for sure. He should brace up for more competition coz we are having intelligent young men and women coming up with better ideas and investments in the coming months. Mboweni should emulate what his Group CEO Mr Strive has done be a strategist and come up with ways which you can coexist with others engaging the politicians until you prosper not sitting back and complaining. realising economies of scale. They complain that they are not being given access to Zesa’s e vending system and forget that they blocked banks from their ecocash platform. Last time i wanted to send money to a Telecel subscriber thru ecocash but was told they can’t send to telecel. They must be grateful that govt has given them all the necessary support. They have been allocated 4G lte frequencies by potraz before everyone else. They continously stifle Netone and Telecel traffic from their system and then want to present themselves as saints. What Econet is saying is futile considering that it is a nagging pain to the government. Mboweni stop ranting hogwash! As we speak they are actually rolling out 4G technology. Potraz has given them the necessary support. They have actually covered most of the country putting up infrastructure. The delays they encounter are actually the town planning by laws which specify the need for an assessment before towers are erected. Do they want to bypass the laws of the country coz they feel superior. Should they be exempted from paying tax coz they contributed a lot to our economy. I remember them lying to Zimbos that they launched 3G when it was gprs and edge services. Taking subscribers for a ride simply coz they didn’t know. All they wanted was to be deemed the first to have launched 3G even when they had not connected their fiber . Everything about them is show off and rip off. Tarriffs should have been 16 cents per minute for all subscribers yet they would rather opt for the traditional interconnection agreement which works in their favour. Instead of dissing govt and potraz they should be actually thanking them for introducing laws that are conducive for them. Mr Mboweni – you and your Econet want us to believe that you are being victimized which is something that us the public fail to construe. You are in fact the biggest aggressor in the telecoms industry. Quite uncompetitive. We have seen how you like to play aggressor and then move to quickly pacify people with donations and the like so we forget your misdeeds. News for you – the people don’t forget. And the day the other guys start getting their act together – they will take market share from you. No one likes a bully! Some people on this forum have no clue as to what’s on the ground. The 20 yrs renewal licence was pegged at US$137,5 million some were allowed partial payments plus not being paid while still operating illegally as per law while NetOne has NO licence and too broke even to pay taxes and one expect foreign investors into the gvt, all will go to the financial heroes’ acre, after all chikokiyani cheZimAsset gets more and more toxic, my foot!!!!!!!!!!!! Econet yaida kushamisira kuti vanemari steregi, that’s why they rushed to pay when the others negotiated terms. Let them suffer quietly. They paid and started bragging kuti, hee, tabhadhara yese, ngavatinyararire!